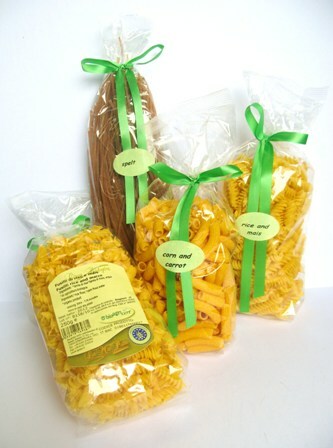 iB Food has launched for the health conscious a range of 3 different types of Organic & Gluten Free pasta, Fusilli Rice & Maize, Rigatoni Maize & Carrot and the Spelt Tagliolini (low gluten content); made from an artisan supplier whose goal is to produce excellent products with a passion. For those of us who can no longer enjoy standard pasta, the dream of sitting at a table in front of a steaming and aromatic plate of pasta that can be enjoyed without the problems of wheat allergies, is a pleasure that iB Food want to recreate using quality, tradition and the love that goes into making an excellent pasta using the best organic ingredients available. We have tried to understand what is required in today’s ever changing market where an individual ingredient can help create a delicious recipe using the elegance and flavours of our organic gluten free range!